There is a huge debate at our house about left overs. 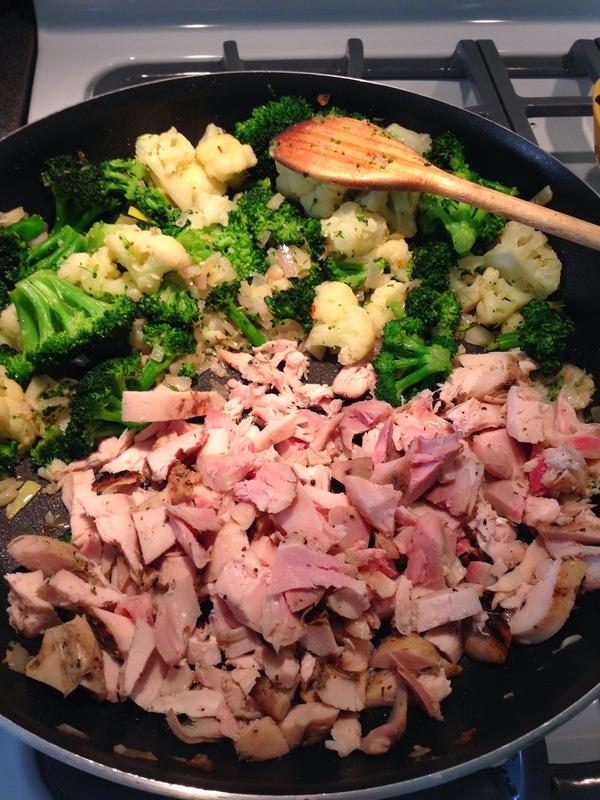 My husband claims we hate leftovers, and complains to anyone who will hear him rant about our reticence towards left overs. I truly don't hate them, and I try to eat them for lunch the next day. I don't like waste and I like saving money. But of course, fresh is better. So what I like to do to keep the peace (and save a buck) is create new yummies based on left over ingredients. 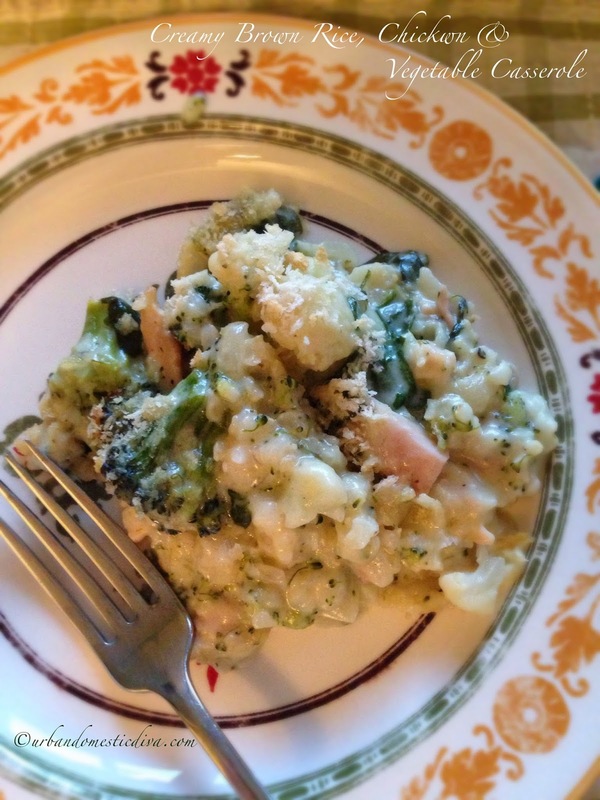 Casseroles are a great way to use up left over grains and proteins. We have been brining and grilling a lot of chicken on the bone lately. Chicken is a cheaper protein as food costs rise. Since we discovered brining, we have been getting bulk chicken and prepping it in all kinds of ways-smoking, roasting, rotisserie, grilling. But we do always have leftovers. 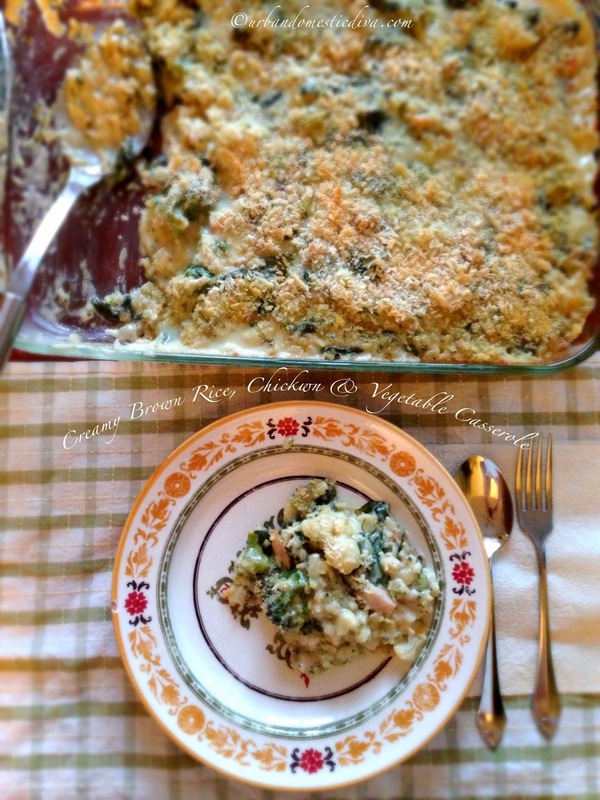 I used this recipe based on a Bon Appetit recipe I found, and adapted to fit our tastes and needs at our home, and especially to use up some chicken. I also used up some brown rice too. 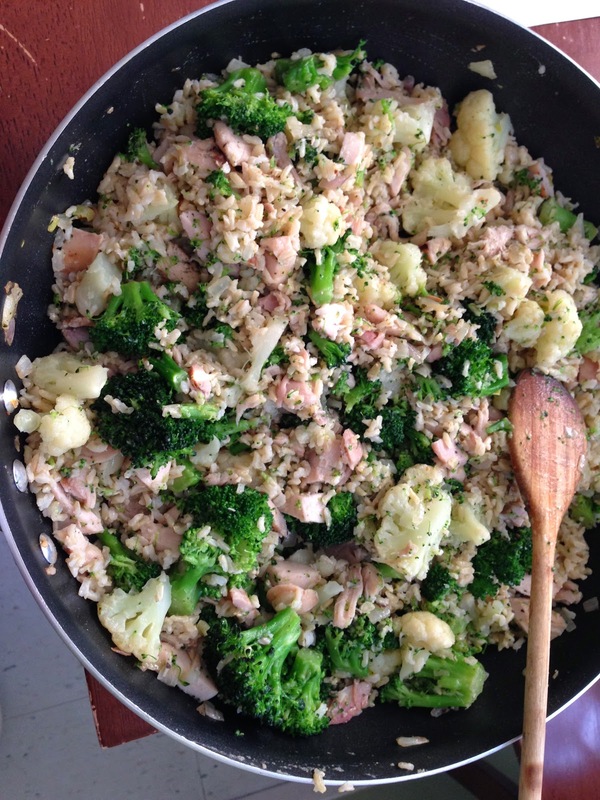 You could probably use up white rice in this recipe, or left over quinoa as well. Make it your own. The cheese sauce just brings it all together in a wonderful party in your mouth. 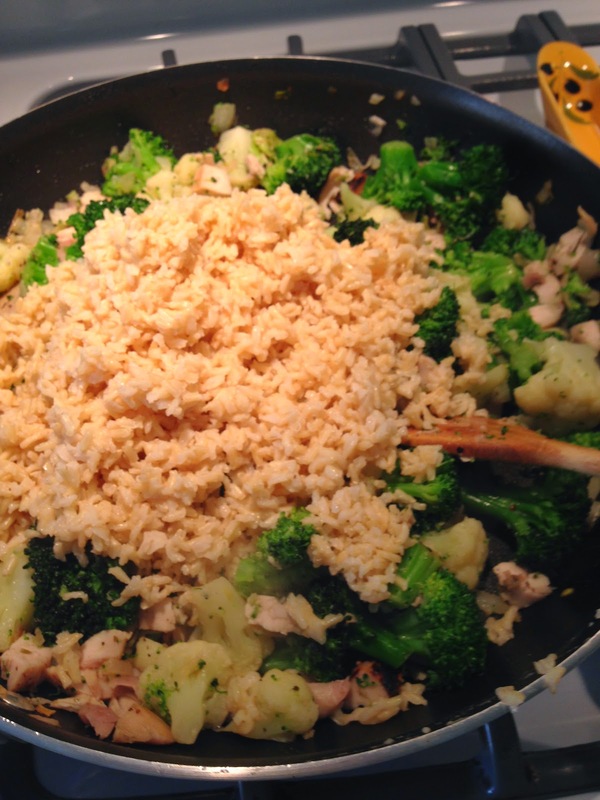 Cook rice in hot, simmering chicken broth in a covered pot, until the rice is tender and the liquid is absorbed. Set side. 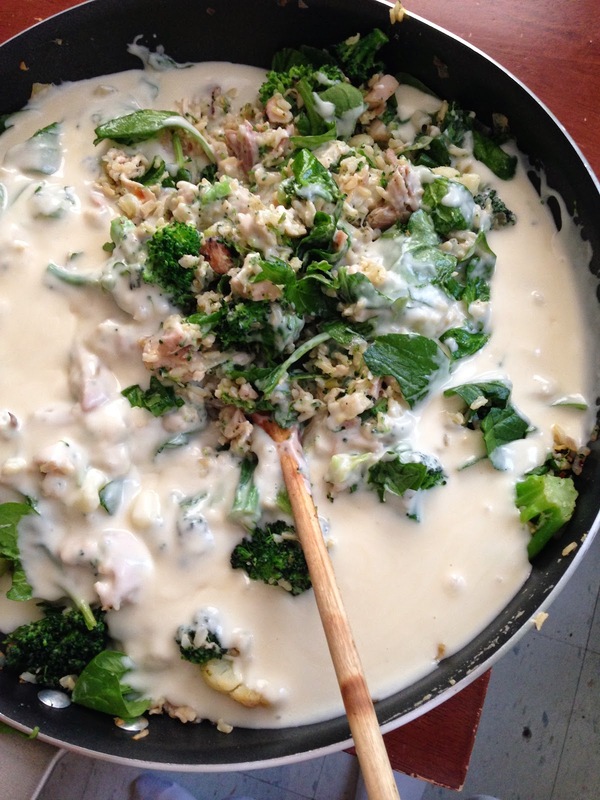 This can be done in advance, or you can use left over rice from a previous dinner. 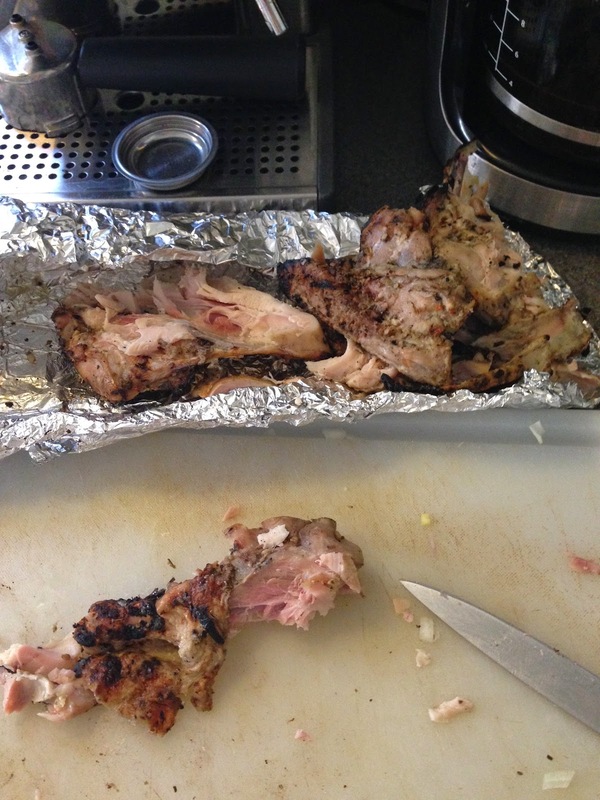 Also, pull the meat off the chicken bones, and chop it up. I use left over grilled chicken from the night before. You can also use rotisserie chicken from the store. Set that aside. Meanwhile prepare the vegetables. 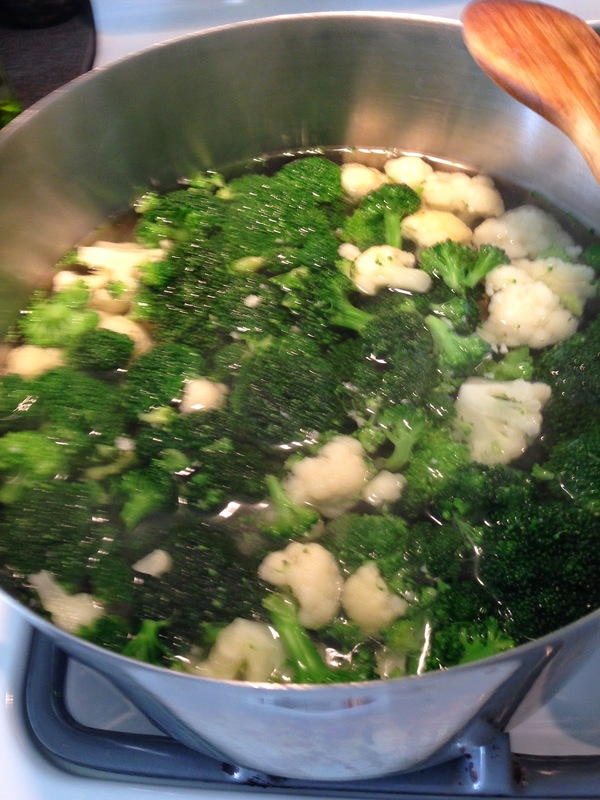 Working in batches, cook broccoli and cauliflower in boiling salted water until just tender, about 1 minute; drain and immediately transfer to a large bowl of ice water to cool. 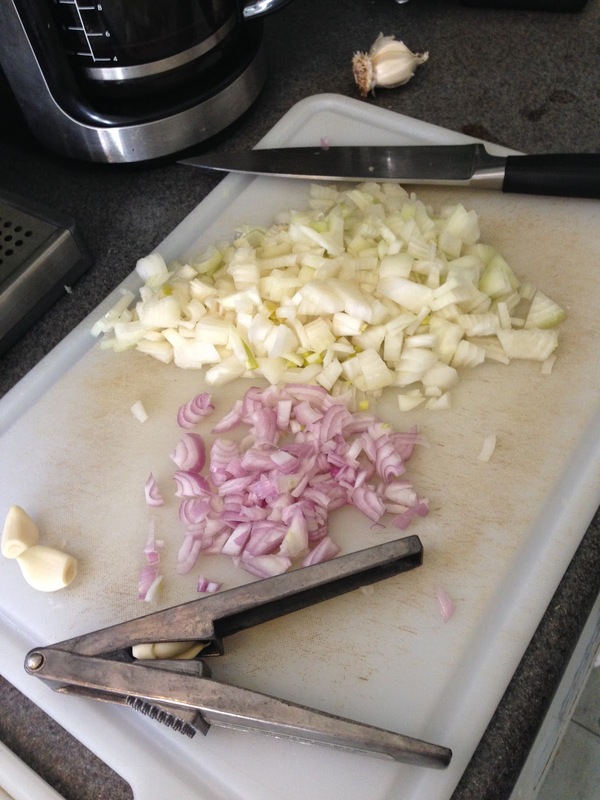 Meanwhile, chop up the onion, shallot and crush the garlic. Heat oven to 350°. 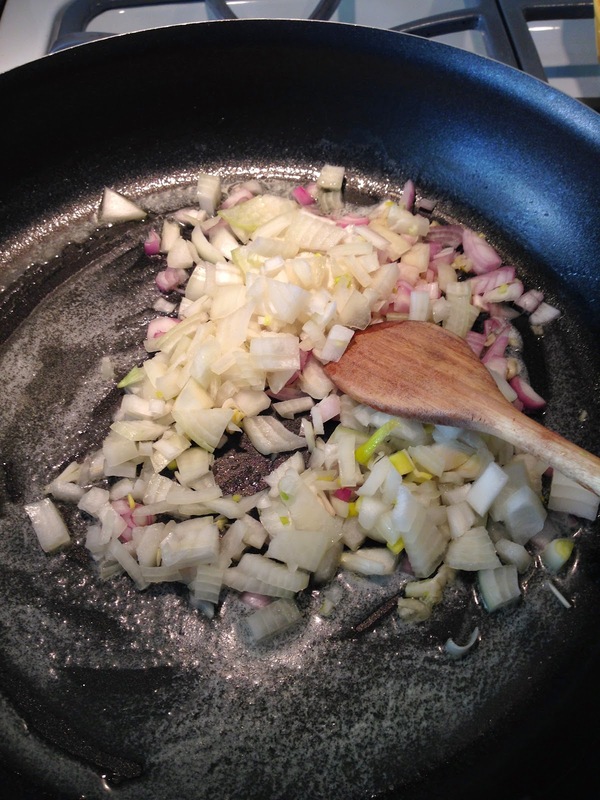 Heat oil in a large skillet over medium-low heat; add butter, onions, shallot, and garlic and cook until lightly golden and very tender, 10–12 minutes. Add blanched vegetables and cook, stirring, until tender, about 5-8 minutes. Add chicken and heat through, coating the chicken with the flavor in the pan. 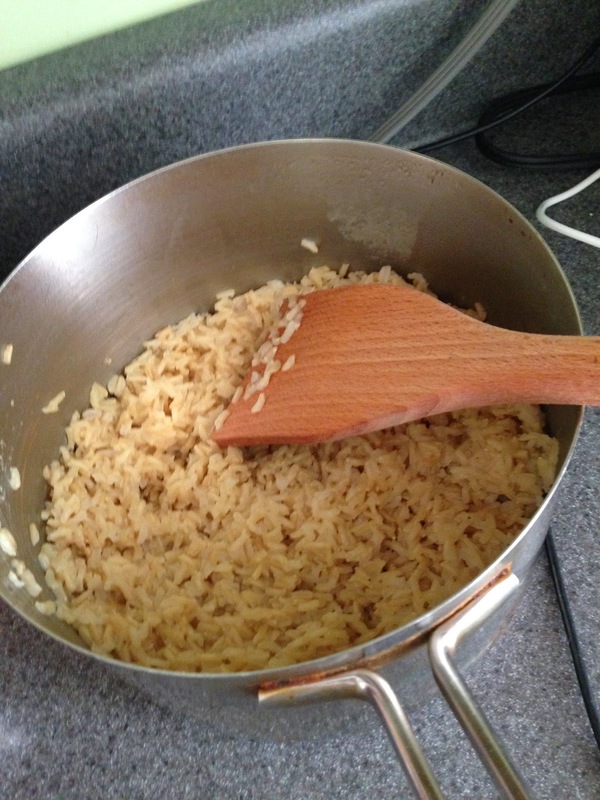 Add the cooked rice; toss to combine. 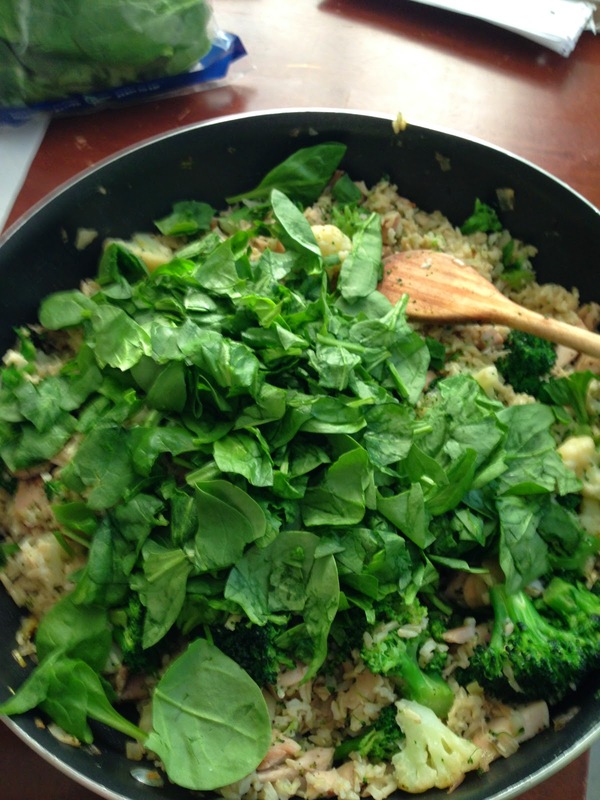 Rip up the baby spinach in your hand, and add it to the pan. Mix it all up, season to taste with salt and pepper. Set aside. Now move to the most amazing cheese sauce ever. 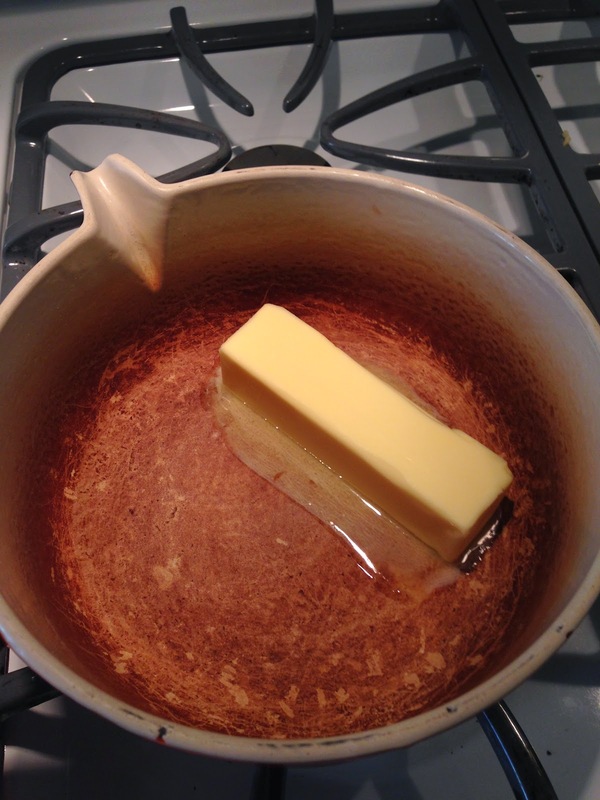 Grab a large saucepan and melt the stick of butter. 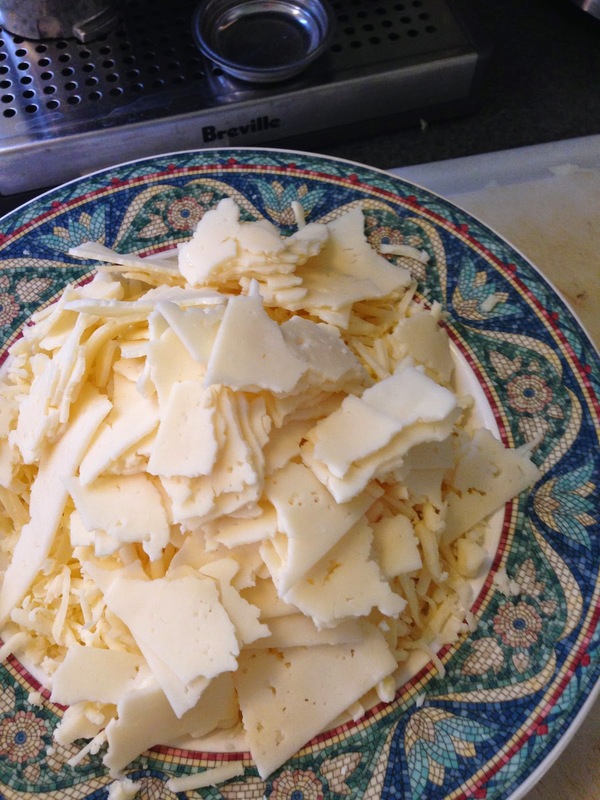 Have your grated/chopped/ripped cheeses waiting. Once butter is melted, whisk in flour and cook, whisking constantly, until frothy, about 1 minute. 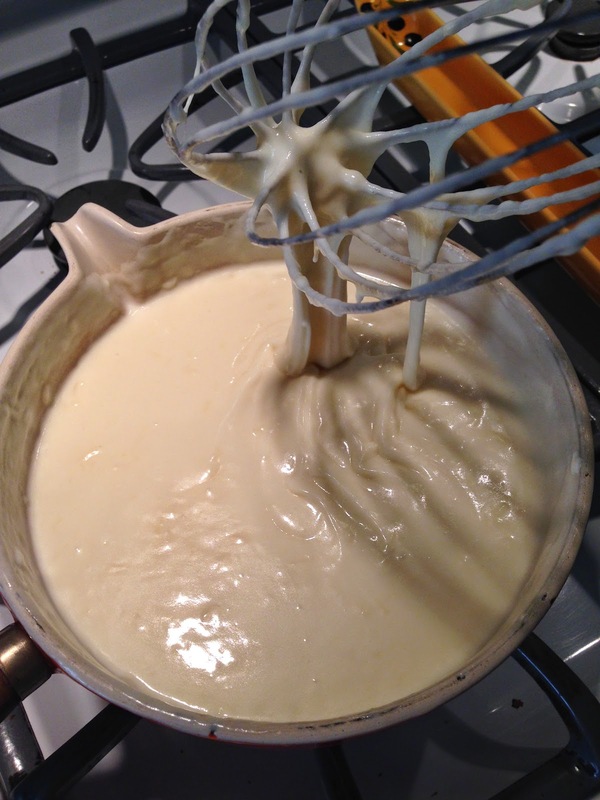 Whisk in 1 ½ cups cold milk and cook, whisking constantly, until roux thickens, about 5 minutes. 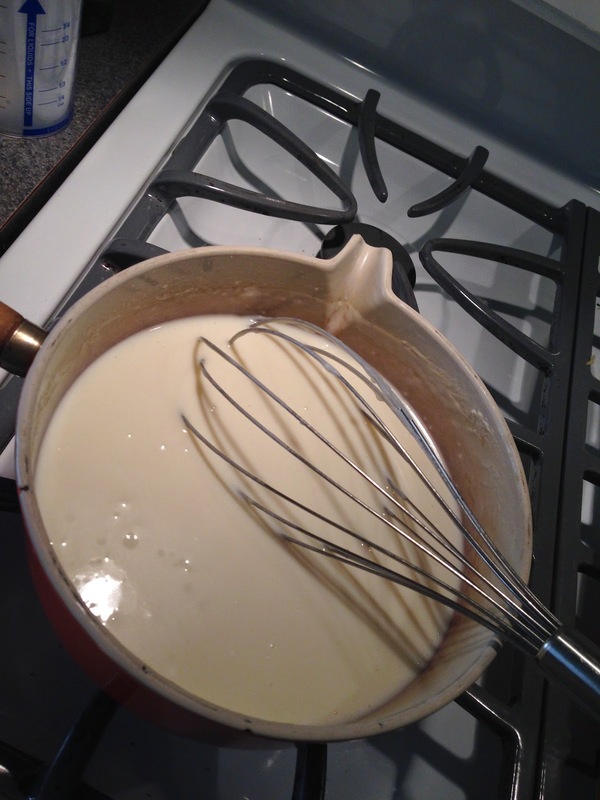 Add 1 ½ cups room-temperature milk and cook, whisking, for 10 minutes. 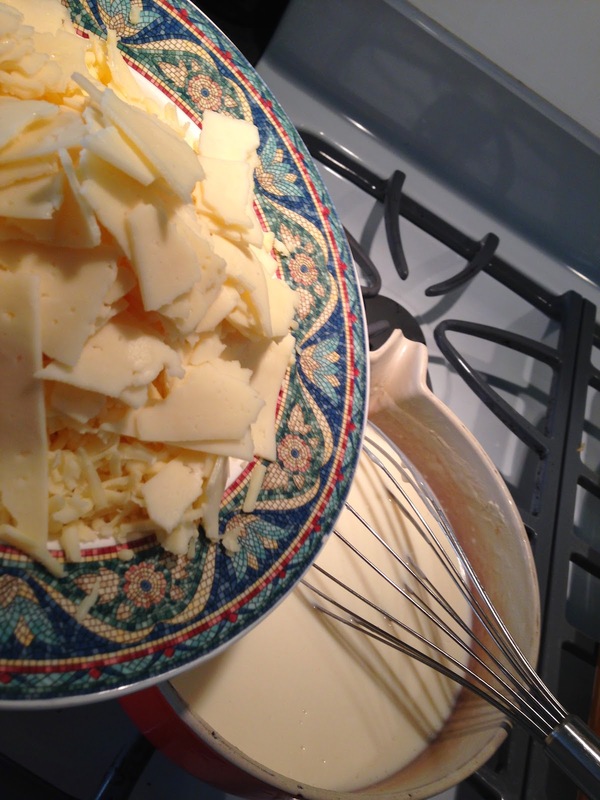 Whisk in cheeses and continue whisking until completely melted, about 5 minutes; add vinegar and lime juice and cook for 1 minute. Stir in sour cream and season to taste with salt and cayenne. 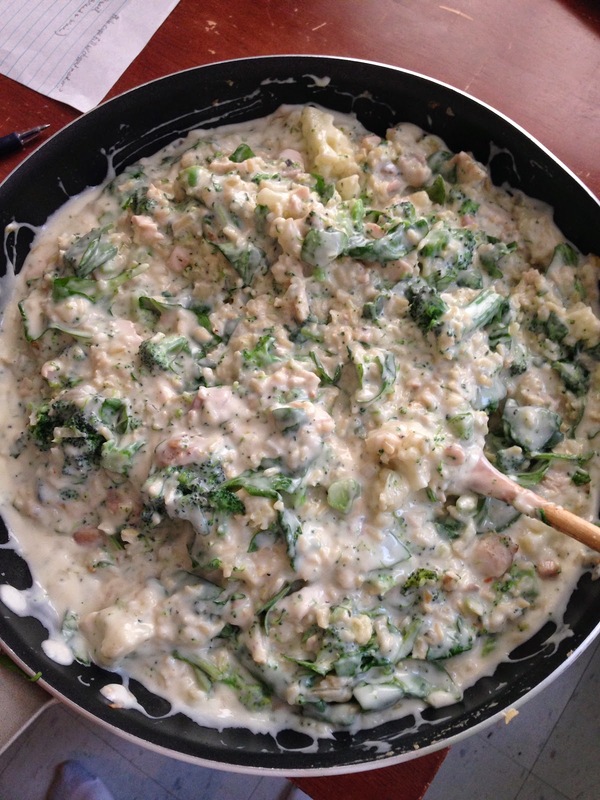 Mix the cheese sauce into the pan with all the ingredients. Stir well. Spray a large casserole pan or Pyrex pan with nonstick cooking spray. Pour the giant batch of cheesy deliciousness into the pan, spreading evenly. Sprinkle the top evenly with the bread crumbs. 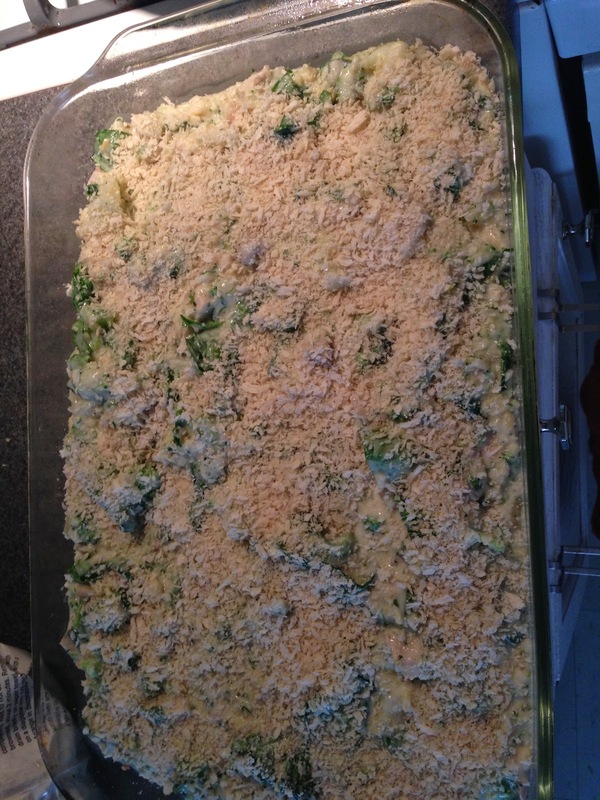 Bake until breadcrumbs are brown and sides of casseroles are bubbling, about 35 minutes. Serve hot in large spoonfuls! Store leftovers in the fridge or freezer.